The free upgrade period for Windows 10 is almost gone! After July 29th Microsoft will be charging $119 for Windows 10 Home and $199 for Windows 10 Pro. The 29th will be here before you know it, and we will be performing a lot of upgrades towards the end of the month. Get in ahead of the rush and let's get you upgraded this week! Give us a call or come by to get started. 806-722-0770. We are your Windows 10 experts and can help you with upgrading, downgrading, turning off Windows 10 pop ups, problems, questions, Windows 10 Test Drives, Training, Windows 10 Books, and much more. We love Windows 10. The Windows 10 upgrade process has been overly pushy, but the actual operating system is, in our opinion, is the best Microsoft has made. And we aren't alone in that. 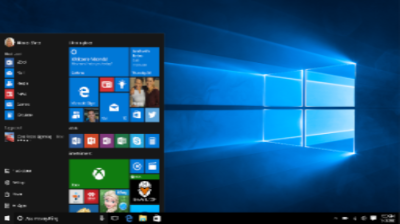 Windows 10 has overwhelmingly positive reviews. Just for a point of reference, I strongly disliked Windows 8 and 8.1. It's easier to use than any other version of Windows. There is a learning curve, but overall things are much simpler. The search function is amazing, settings are all easily located and the amount of customization available is awesome. Windows 7 and Windows 8.1 are still supported. These Operating Systems are still safe, and will be for a while to come. Windows 7 won't see it's "end of life" until 2020, and Windows 8.1 will be supported through 2023. If you don't want to upgrade, that's okay, it will just cost you more after July if you change your mind. Click Here to Watch our Windows 10 Tutorial Video. This was a "beta" build of Windows 10, but is still representative of what you will be getting. Come by the shop and "test drive" a Windows 10 machine. No appointment needed, stop by anytime. We can help you upgrade. We will perform a complete backup, upgrade to Windows 10, install all necessary updates, and give you an overview of your new O.S. for only $89 (in shop). We can help you with the learning curve. Come sit down with us for an hour of 1 on 1 training, call with any questions or come by the shop any time. We also sell Windows 10 Tips and Tricks books which help to ease the learning curve. Certain you don't want to upgrade? Give us a shout and we can turn off Windows 10 Upgrade Pop Ups and make sure your computer doesn't download and install Windows 10 by itself. If you choose to upgrade at a later date, you still can, you just won't be nagged about it until then. Upgrade on accident or change your mind? There is a 30 day grace period where you can easily downgrade. Give us a call and we can help. Windows 10 Tips and Tricks will be posted to our Facebook, Twitter and Instagram accounts for the entire month of July. Follow us to get the most out of your new Operating System.